This game is a fun twist on the classic game, “duck, duck, goose!” Here’s the twist: instead of tapping other player’s heads, the person walking around the circle holds a wet sponge over each player’s head and says “dry, dry, dry…” until they come to the person they would normally call “goose.” Instead, however, the person holding the sponge wrings out the sponge over the person’s head, and thus the chasing begins. Players get pretty wet, which is nice for a hot say. For the sake of good health, don’t let the sponge touch anyone’s head or the ground. Using a big sponge is usually best, so the person walking around the circle with the sponge will still have water to wring out on someone’s head, even if they go around the circle more than once. Enjoy! 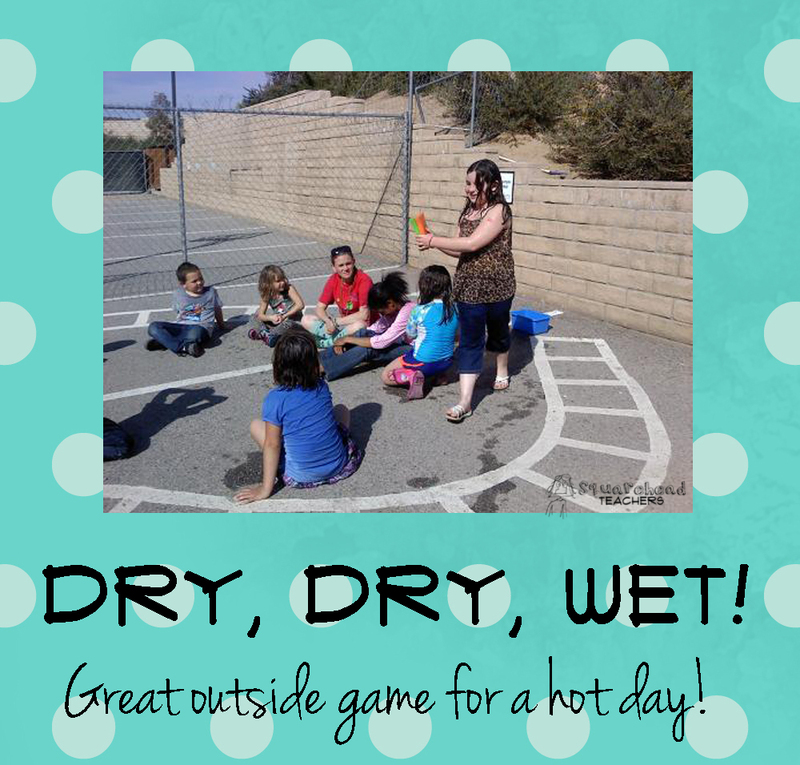 This entry was posted in End of the Year, Games, PE & Health and tagged Children, Education, Elementary School, Games, Homeschool, Kids, outside games, PE & Health, Teacher Resources, Teachers, Teaching, water games by Squarehead Teachers. Bookmark the permalink.